In this keynote presentation, Dr. Roman discussed what the procurement community needed to do in order to reconstruct procurement as a fundamental and strategic organization function. Rebekah Cearley provided a review of the 2018 legislative cycle as it pertains to the California community college system. Topics included Proposition 51 and capital outlay funding, the DIR Prevailing Wage Monitoring Program, and bills related to community college contracting and procurement. This presentation highlighted new legislation and its implications on California community college districts and reviewed recent changes in the law. This session explored the success of the California Higher Education Shared Services Initiative (CHESS) for community colleges two years after the passage of AB 653. 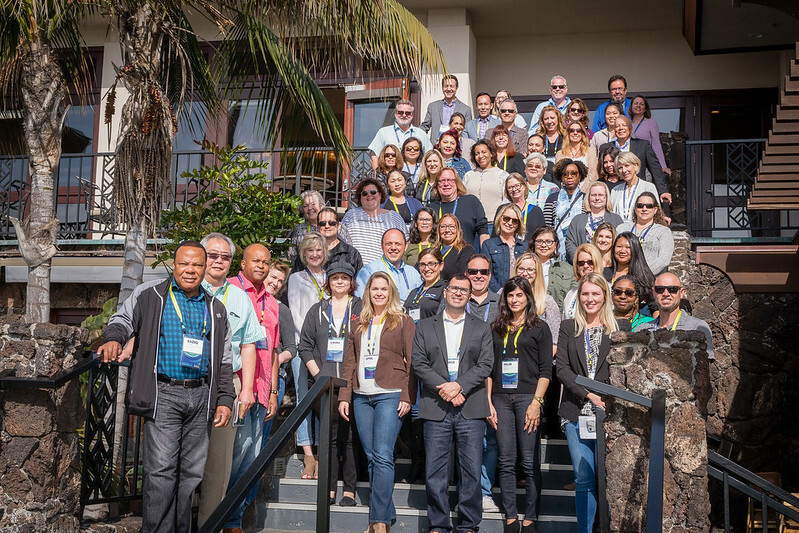 Leaders from all three of California's public higher education systems discussed how to continue building on collective achievements and fostering intersegmental efforts. In this session, a panel of community college district representatives discussed their experiences in procuring and using different contract management systems, and how using these tools benefited their purchasing departments. This session provided background on how and why the California Community College Purchasing Handbook was created and provided an update on committee activities over the last year, and updates, additions, and edits to the handbook. This presentation provided attendees with insight into the benefits of collaboration between the purchasing function and key service departments. This session provided best practices in preparing for and managing a construction defect claim. Topics included creative ways to track the claim and damage, the benefits of owner controlled insurance programs (OCIP) versus standard coverages, timelines, and expectations. This session provided an update on CollegeBuys institutional and technology offerings, as well as strategies to continue fostering collaboration and innovation within the California community college purchasing community and all three public higher education systems. This session explored ideas and presented success stories making the case for understanding the intrinsic nuances between contract options real and relevant. This session explored contracting conundrums as they relate to district procurements and discussed topics including the California Uniform Public Construction Cost Accounting Act (CUPCCAA), force accounts, public records requests, and technology-related procurements. This session looked at the strengths that each generation brings to the workplace, discussed generational clash points, and offered best practices to unite your workforce and work effectively with Millennial-aged employees.